To design a workplace that acts as a catalyst for a cultural shift, enhancing collaboration and teamwork by connecting employees and driving engagement. Federal Home Loan Bank’s (FHLB) understanding of the impact that space has on employee performance was the common thread in the decisions that drove the success of the final project. 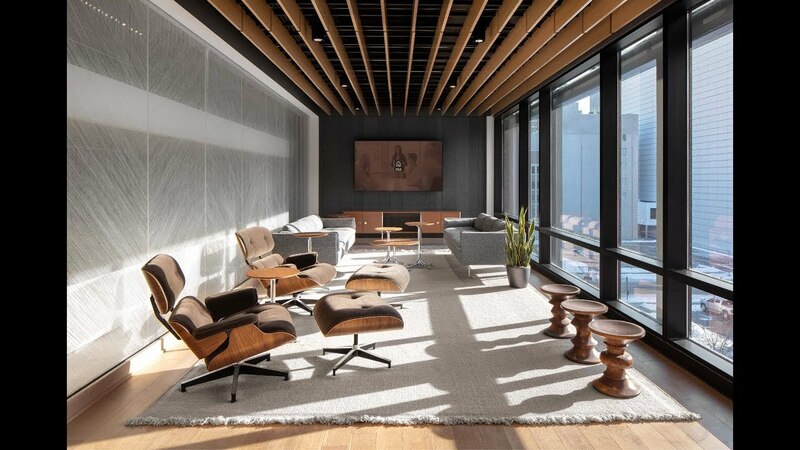 In collaboration with Substance Architecture and JLL, Pigott worked with the FHLB team to identify the types of spaces needed to create the diverse landscape that would support connectivity and employees’ work, both alone and in groups. The resulting floorplan not only includes a variety of settings, but also product solutions designed to change as the organization does. Canvas Office Landscape workstations and private offices provide FHLB with a concise and flexible kit of parts that will adapt as FHLB’s business continues to evolve. Adjustable-height worksurfaces, high-performance task seating and technology support tools create ergonomic individual spaces. Meeting spaces – both enclosed and open – of varying sizes, styles and postures allow for groups of all sizes and types to find space that best supports their needs. The success of this workspace is due to the cohesive partnership between the client, architecture team, owner’s representative, and Pigott throughout the project process, leading to on-time installation and move-in that truly reflects the initial intent of putting FHLB’s people first and fostering the success of their employees. To view featured products, click here. Connect with a commercial furniture specialist.